Thank you Kelly for this award. I am so surprised. Thanks Kelly for this amazing award...I am so surprised. I am one of your newest followers. 1. I am about to be a grandmother for the second time...so excited. 2. My husband is the love of my life. 3. I have 5 beautiful children. 4. I am a Christian. 5. I graduated from Texas Tech University. 6. I have 3 precious yorkies. 2. Include a link to their site... Check! 3. 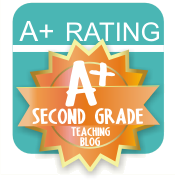 Include the award image on your blog...Check! 5. Nominate 15 other blogs for this award ( I am working on this and will include more shortly.) 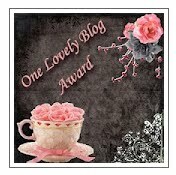 There are a lot of bloggers who have already gotten this award! Thanks Lesa! I am honored! Just found you from the Newbie blog hop. I'm your newest follower. Come check my newbie blog out when you get the chance. Congrats on the awards! 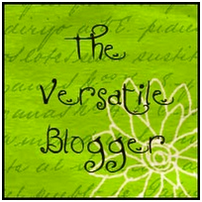 I just found your blog through the newbie blog hop and I am your newest follower!! It is so cute!! I would love for you to visit when you have a chance. Congrats on your awards! I found you on the newbie blog hop! The link for the hop comments would highlight, so I'm commenting here. Love your writing board by the way! I'm a newbie blogger and super excited about it, as I've attempted to do so many times without success. This time I'm already 90% ahead of where I've ever been. When you get a chance stop by and check out my blog.